Magikmoose: I have had this issue twice this week - had not happened before this. Last time it happened was the 12th - pulling the dsl line did not restore speed but rebooting router resolved. Kills download speed but router sync speed remains constant. Using a WAG54GP2V2. I will monitor and log fault with HD if this happens again. That means it is your modem, not your ISP. Pulling out the line will force renegociation of the connection. Rebooting the modem will clear any junk/corruption in the modem. Have had had it happen a couple of times including tonight. my download was still fine at 6mbit but upload was about 128k. 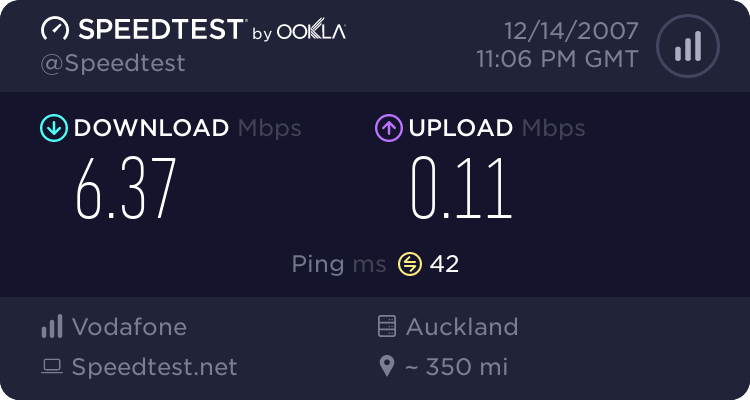 i have a dynalink adsl router and run VFX from asterisk. Reboot of router fixed it and i am back to 6mbit down .8 mbit up. hrm just noticed this on my fs/fs connection. vfx: yes. using a pap2t. Would you like me to not restart my router? I will pm you my login details. Just had the issue again today, 2nd time in 2 days. you have my account details in a PM maverick, incase you want to take a look at the logs of what ever. I have just had the 256k treatment again. 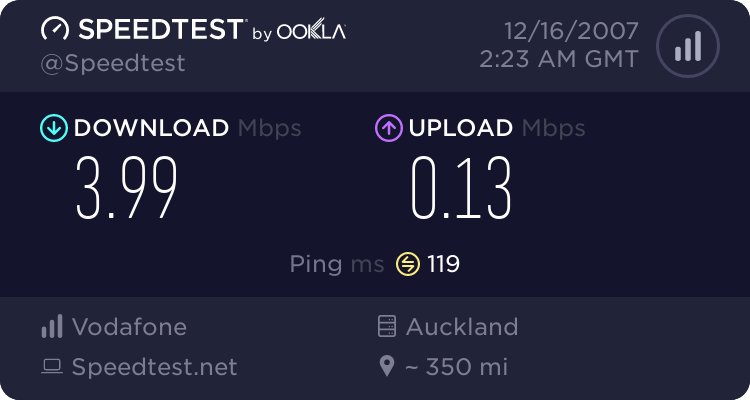 I was told by (Simon) at the XNET helpdesk recently to use the xnet speedtest as it was more accurate. I note that both have downloads of around 7megs and (xnet) has upload of 400k with speedtest normally about 750k. i think it is time to admit the problem is caused by fiddling bandwith management to give QOS for VFX service. I think it is time for some facts. GEOMAX: ...i think it is time to admit the problem is caused by ?fiddling bandwith management to give QOS for VFX service. I just experienced this problem for the first time. Speed was DREADFULLY SLOW, even worse than dial-up. Restarted router and all OK. I don't have any VFX service on this line, so that is definitely NOT the problem in my case. Are all your lines on the same VFX account? i seem to remember earlier you had 3 VFX lines. Maybe it is a total usage problem. I would like Phil to reply with what they have found out todate. GEOMAX: Are all your lines on the same VFX account? i seem to remember earlier you had 3 VFX lines. Maybe it is a total usage problem. Nope, 2 different accounts and the third one is wireless which has hardly been used this month. Do you use any other voip providers ? i use Voipbuster. Do you get different results between xnet and speedtest tests? GEOMAX: Do you use any other voip providers ? i use Voipbuster. I use Skype in voice mode occasionally, but not for the past quite a few days. 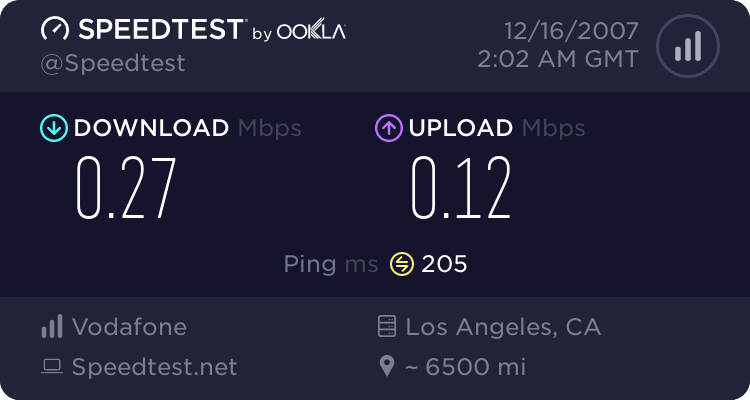 GEOMAX: Do you get different results between xnet and speedtest tests? Nope. Exactly the same within the usual margin of variation that you typically get with this sort of test. P.S. The affected connection is on the Xnet RIVER plan i.e. FS/128k. The other connection which uses Xnet FLOOD is unaffected.